After a large portable air conditioner for hire? Look no further than the WPC 208. After a large portable air conditioner for hire? Look no further than the WPC 208. This powerful unit delivers a massive 6.1kW of air conditioning. This mobile ac unit has an intelligent control system which has a fully adjustable thermostat, hour timer and alarm to notify you when the condensation bucket is full. The two arms allow for additional ducting so that you can cool two areas at once. 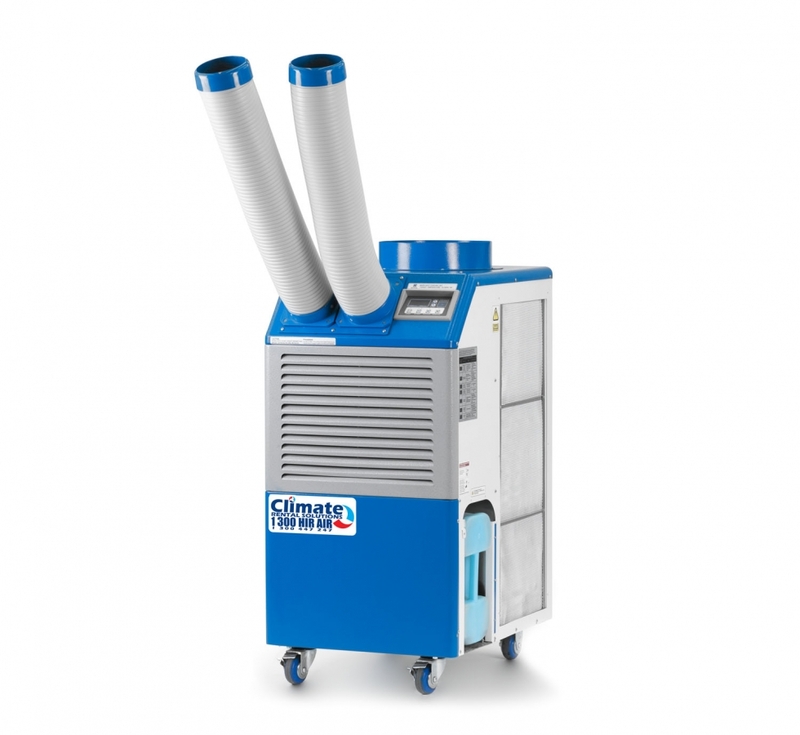 Air conditioning rental from Climate Rental Solutions is too easy.